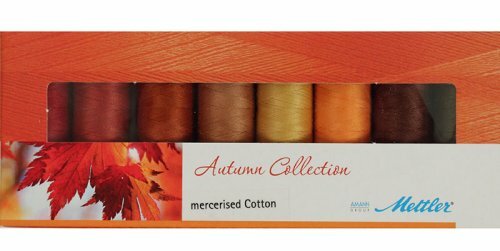 Mettler Silk-Finish Autumn Seasonal Set SFC8AUTUMN is Egyptian cotton, 164 yards per spool. The perfect thread for all you quilting and sewing needs. 8 spools in the following colors: 0105, 1074, 0163, 0899, 0892, 0122, 0263, 0667.